Wanted: Can you help me cheer up my sad lion cub? Discussion in 'Pin Trading' started by caw caw rawr, Apr 15, 2019 at 8:04 AM. Well she loved it and pinned it to her shirt. We had to stop at nearly every rest stop on the way home for potty breaks and at one of them she lost the pin. An hour after we had stopped she started to cry and told us she must of left it in the bathroom when she took it off because she was worried it would fall into the toilet. 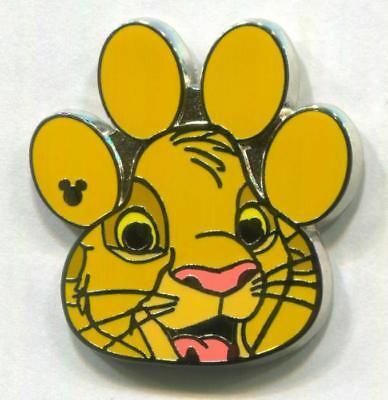 Anyway, does anyone have an extra of this pin that you would be willing to trade? We will be at Docfish2u's pin party if an in person trade works better for anyone - yes, we're bringing the kids this time. Let me know if you can help cheer up my sad lion cub. Thanks. We have Timon and Scar. I’ve got an extra shoot me a PM with your address. Snoffsan, khossler, slbrabham and 4 others like this.